Last week saw our clubs annual general meeting where the organising committee feedbacks to members and members have an opportunity to pose questions and raise concerns, elections taking place etc. If you are a member of all club I think it is important to attend these meetings to hear the discussions. It also gives you the opportunity to raise questions and understand the work that goes on behind the scene. Like last year the event was well attended with over 60 club members making the effort to attend. The meeting also provided the opportunity for a photo session. 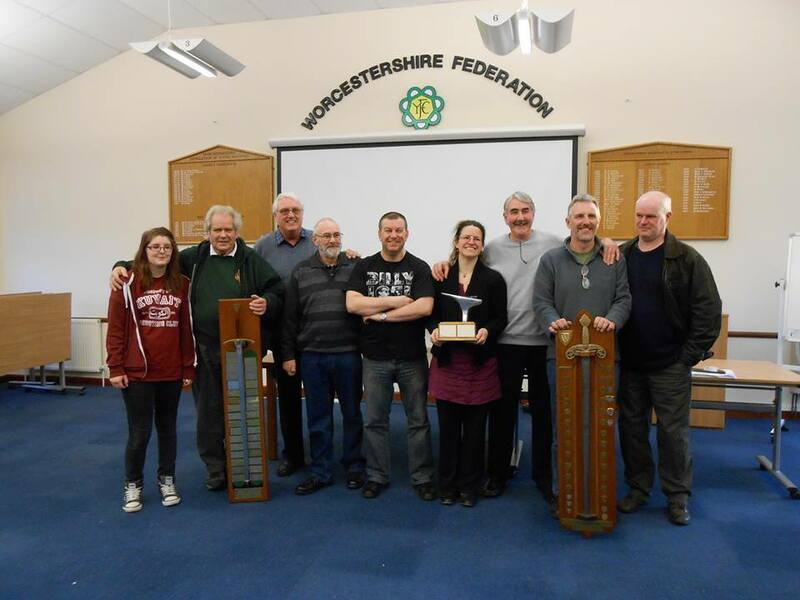 As some readers will know at last year’s NFAS national championships the Severn Valley Yeoman Foresters club won a few trophies and this meeting provided the perfect opportunity for team members group photo. So below is the bare bow team photo. 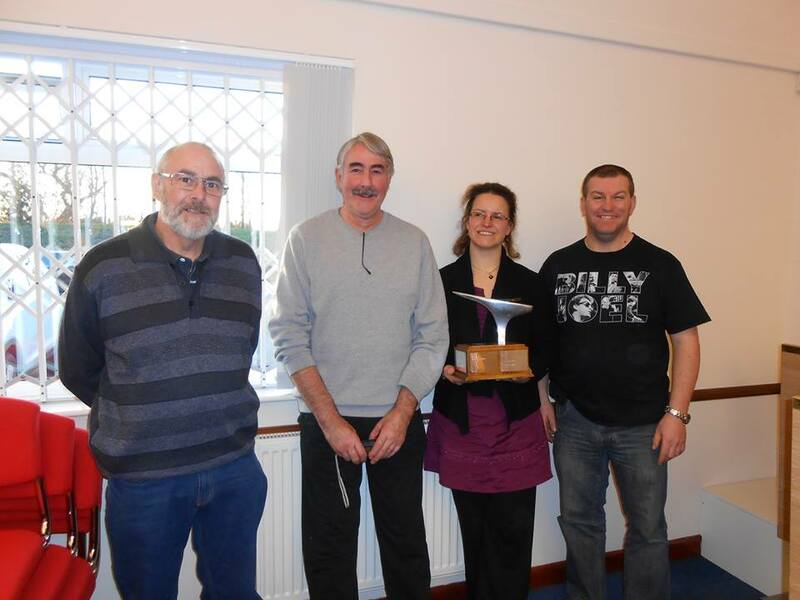 The other photo is of the 3 team trophies, the instinctive, bare bow and longbow with corresponding team members. Well done to all involved.